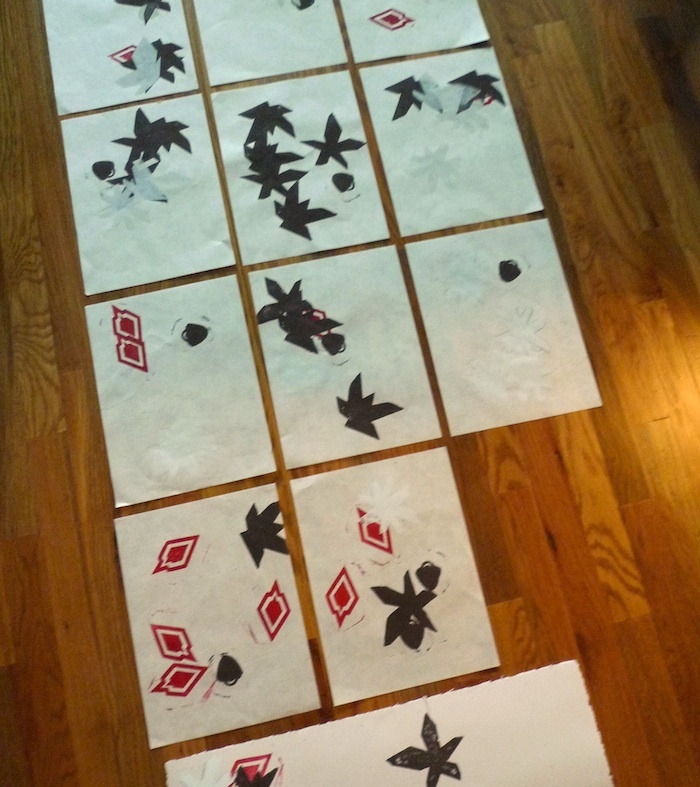 a system for block printing. 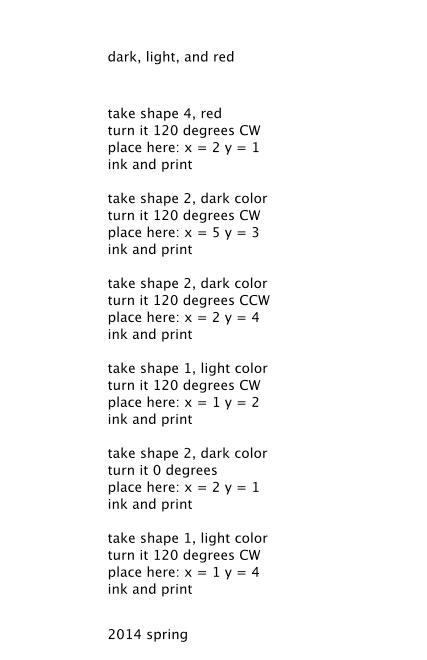 Inspired by John Cage’s chance based printmaking method, a Processing sketch was written to determine the composition of a series of block prints. A new series of instructions would be generated each time the sketch would run. Shown above are some of the many prints created and an example of a set of instructions for a single print.